The E-Commerce law (“EC Law”) adopted on August 31, 2018 and came into force on the first day of 2019. • record and preserve information of customers for no less than 3 years. It is estimated that in 2017 there were 42.5 million people directly or indirectly employed to engage into e-commerce activities in China, 1 accounting to 1/18 of Chinese population, and volume of business amounts to RMB 29.16 trillion, increasing at a year rate of 11.7%. The 2018 e-shopping festival November 11 (Single’s Day) just curtained down, with Alibaba deals amounting to RMB 213.5 billion. Harder than customers finding out what deserves to buy, checking and balancing between protecting consumers rights and promoting e-commerce renders the lawmaking process a tug of war. Spending 5 years on 4 deliberations, the standing committee of National People’s Congress adopted the final draft of the E-Commerce law (“EC Law”) on August 31, 2018, which came into force on the first day of 2019. It is the first legislation in the realm of e-commerce, and comprises of provisions interacting with commercial law, contract law, tort law, competition law, and administrative law. We hereby briefly interpret the relevant content of EC Law. I. Who are the E-Commerce operators recognized by EC Law? Any legal persons or unincorporated organizations that provide a site for digital business, transaction matching, information release, as well as other services to facilitate other parties to conduct e-commerce trading activities independently. Good examples are Tmall, JD, and DIDI (Chinese biggest online ride-hailing platform). It refers to third party merchants that sell commodities or offer services on e-commerce platforms. A good example shall be a vendor operating an online store on Taobao (“Taobao store”). Others who sell goods or offer services through their own websites or through other network channels are also included in EC Law. This is to take into consideration of some non-traditional stores at other instant messaging apps such as WeChat, which is booming with the extensive use of smartphones. II. What are the general obligations for E-Commerce operators? Rules for merchants to open an online shop are stricter now as industry and commerce registration of market entities (e.g. obtaining a business license) is generally requested by EC Law. Consequently, all e-commerce operators shall perform corresponding registration formalities at authorities to register them as a market subject. Nevertheless, EC Law still leaves a door open, for example, registration is not mandatorily requested for personal sales of self-produced agricultural and sideline products, household handicrafts, certain labor activities taking personal skills for the convenience of people and occasional small-sum transactions (“Personal Sales”). For business activities subject to special license, the e-commerce operators shall follow all formalities to obtain all requested license. For example, to conduct business in relation to food products, a Food Business License shall be obtained. In addition, e-commerce operators shall issue purchase vouchers or service documentation, such as physical or electronic invoices for selling commodities or providing services. Electronic invoices shall have the same legal effect as physical ones. III. Are IP rights better protected under EC Law? According to Chinese Tort law11, the platform operators shall take necessary measures when it knows of an infringing act on the platform. EC Law, for the first time, formally adds the concept of “should have known” which seems to be stricter to the platform operators. Specifically, a platform operator is obliged to adopt appropriate measures such as deleting, blocking and disconnecting hyperlinks, and terminating transactions and services if it knows or should have known of any IP infringement occurring on its platforms. (1) Civil liability: the platform operator that fails to take appropriate measures shall assume a joint and several liability with the infringing party. (2) Administrative liability: platform operators failing to take appropriate measures might be ordered to an administrative fine up to RMB 2 million subject to the severity of the circumstances. “Notice and take-down” mechanism gets strengthened in EC Law, as previously, in tort law practice, the platform operators may evaluate the likelihood of the existence of such infringement. Pursuant to EC Law, upon receipt of the notification specifying prima facie evidence (preliminary evidence) of the alleged infringement by an IP right owner, a platform operator is required to take necessary measures in a timely manner, such as deleting, blocking and disconnecting hyperlinks, terminating transactions and services, and to forward such notification to merchants on its platform. “Review” by the platform operator was deleted in order to speed up the procedure so as to protect the IP rights efficiently. Platform operators that fail to take such measures will be held jointly and severally liable with the merchants for the increased part of the damage. If the platform operators fail to take necessary measures timely, they will face penalties of up to RMB 2 million subject to the severity of the circumstances. The above regulations caused heated discussions on whether law makes bend over backwards as the IP owners could possibly abuse their rights. EC Law further regulates that if the merchants on the platform believe that no infringement has occurred, they may submit a statement and preliminary evidence to the platform operators, denying such an infringement. The platform operator is obliged to forward the non-infringement statement to the IP rights holders. In addition, if the IP owner did not bring the case to the administrative regulator or to the court within 15 days of delivery of the non-infringement statement, the platform operator is required to lift all measures that it has taken. EC Law in the meanwhile provides remedies against malicious notifications filed in bad faith. Specifically, if notification issued is unreal and thus causes damage to the merchants on the platform, civil liability shall be borne accordingly. In addition, if unreal notification is issued maliciously, which causes losses to the merchants on the platform, more compensation shall be borne. IV. How EC Law better protect consumer’s interest? Tie-in sales refer to selling one product or service as a mandatory addition to the purchase of a different commodity or service. Normally only one commodity or service is critical to the customer, and the other one is less necessary. EC Law clarifies that tie-in sales commodities/service shall be warned prominently and shall not be set as a default option. Failure to do so will face an administrative fine amounting up to RMB 500,000 subject to the severity of the circumstances. 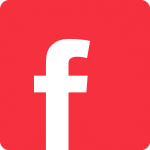 To solve the difficulty of obtaining deposit refunds in the emerging sharing economy (e.g. the shared bicycle Bluegogo, with its iconic blue bikes, have drawn disapproval as users are having difficulty in getting deposit refunds. ), EC Law sets out that when collecting deposit, the operator shall explicitly instruct the way and procedure to refund such deposit without unjustifiable conditions. Failure to do so will face an administrative fine amounting up to RMB 500,000 subject to the severity of the circumstances. It is noteworthy that EC Law has responded an ever-concerned issue: abuse of big data, for example, when promoting commodities/service according to consumer’s shopping habits or personal hobby, e-commerce operators shall also provide consumers with options that are not specific to their personal characteristics and shall respect and protect the legitimate rights and interests of all consumers equally to avoid price discrimination. For example, some ticket booking platforms will grant unreasonable higher price for the frequent customers than the new customers on the same ticket. Moreover, defrauding frequent customers by using big data will face an administrative fine amounting up to RMB 500,000 subject to the severity of the circumstances. EC Law increases the burden of platform operators by stipulating their examination obligations. Basically, platform operators shall require merchants on the platform to submit truthful information, including the identity, address, contact, license as well as shall regularly verify, register and update such information. Failure to examine the credentials of merchants on the platform which results in damages to consumers shall bear “corresponding liabilities”. When the draft of EC Law was open for social comments there were loud voices that the “joint and several liability” is too harsh to optimize the e-commerce business. Then, the fourth draft revised to “complementary liability”, indicating the injured consumer cannot sue the platform operators unless the merchant could not indemnify the damage. However, it is criticized as turning back the clock, giving platforms much margin to pass the buck. Following the overwhelming debate on this issue, especially upon occurrence of the “DIDI Yueqing Murder”17, the final wording changed into “corresponding liabilities” with an administrative fine amounting up to RMB 500,000 and suspension of business subject to the severity of violation. To protect customers, “joint and several liability” will be applied on platform operations under certain situation as well. According to EC Law, a platform operator will be held jointly liable with merchant on its platform if the merchant fails to take appropriate measures when it knows or should have known the fact that merchant was selling commodities or offering services that failed to safeguard personal or property safety. An administrative penalty amounting up to RMB 500,000 might be imposed as well for failure to do. 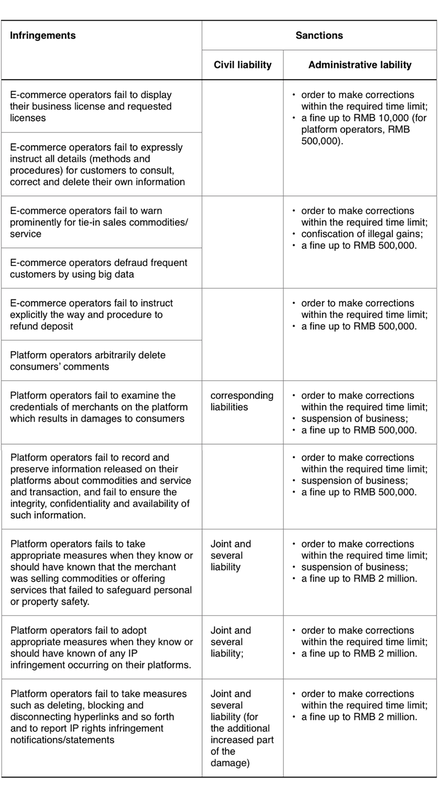 EC Law further stipulates that the platform operators shall establish and improve a comprehensive credit evaluation system and shall not delete any consumers’ comments made on any commodity sold or service provided on its platform; Platform operators arbitrarily removing consumer’s comments might be ordered to pay an administrative penalty up to RMB 500,000 subject to the severity of the circumstances. “Death of Wei Zexi”21 occurred during the EC Law making process; upon heated discussion on the e-commerce search services, EC Law requests platform operators to display search results in various ways in terms of price, sales volumes, and credit level. Commodities or services ranked under competitive bidding shall be noticeably labeled with the word “Advertisement”, and EC Law further stipulates that platform operators fail to do that shall be punished according to the PRC Advertisement Law. Following the rules for protection of personal information as stipulated by relevant laws and regulations, EC Law also demands all e-commerce operators to expressly instruct all details (methods and procedures) for customers to consult, correct and delete their own information without unreasonable conditions as well as to promptly respond to consumers’ requests. An administrative penalty amounting up to RMB 10,000 might be imposed for e-commerce operator’s failure to do so (For platform operators, EC Law provides with a higher amount of sanction which amounts up to RMB 500,000). In addition to all the aforesaid civil and administrative liabilities, the EC Law also has a general clause linked to PRC Criminal Law.25 It stipulates that if any act performed by the E-Commerce operator constitutes a crime, the violator shall be subject to criminal liability in accordance with the PRC Criminal Law. EC Law comes as a Chinese legal endeavor to tackle emerging issues occurred in the e-commerce business. 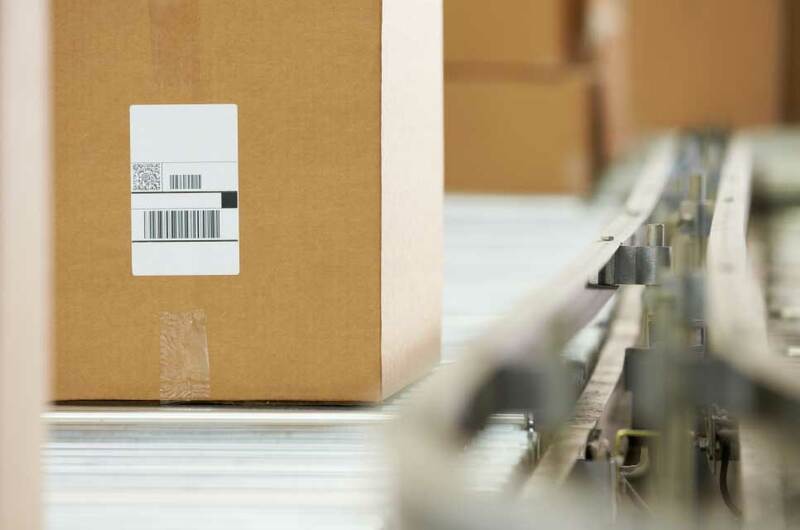 As a first comprehensive legislation addressing the e-commerce business, some regulations still need further clarification. To adapt to the ever-shifting e-commerce business models, detailed interpretations is under legislative consideration. We will keep an eye on future developments for you. (8) A Daigou is usually an individual (a middleman) who shops for foreign products overseas for consumers on the Chinese mainland. Generally, this sort of trade helps consumers to save on import duties since it happens on a one-to-one level based on personal acquaintances. (25) Article 88 of EC Law.